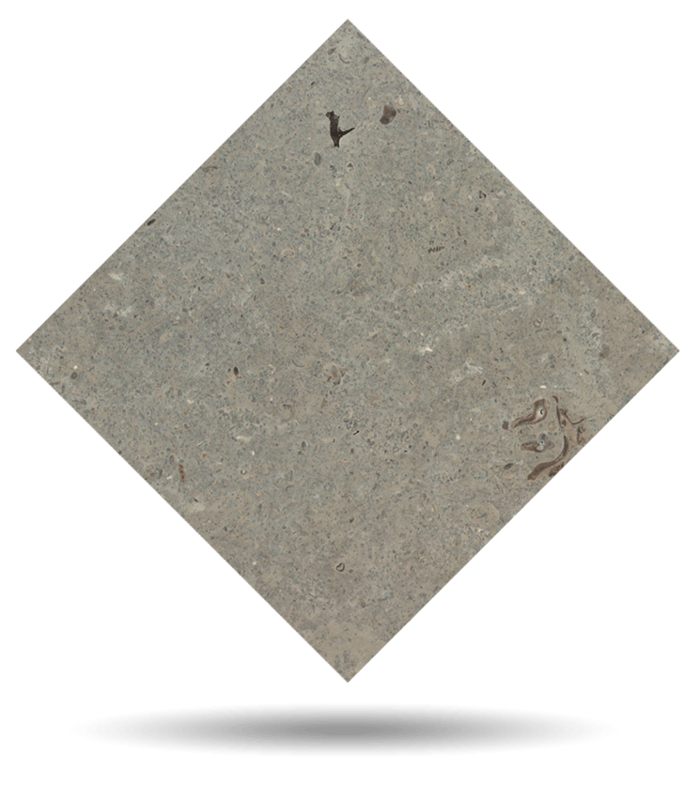 Grey Navy is a grey limestone, natural stone. It is characterized by its bluish background dotted with an infinite number of notes ranging from silvery grey to occasional grey ochre. These shades evoke the aeronaval aesthetic and bring us closer to the shades of the battleships and their ability to resist saltpeter, movement, and bad weather. Architects and interior designers choose (it) Grey Navy because it is an elegant, sober, robust, and contemporary natural stone, synonymous with good taste. The application of Grey Navy in a high-end hotel, business or residential spaces undoubtedly provides added value in terms of distinction, comfort, and durability, as well as a rich variety of tones. Tino Collection standard surface finishes are: Polished, Honed, Domus and Sandblasted. Tino offers Grey Navy grey limestone in any formats and finishes desired by the customer. Check maximum size per finish. For other finishes, please check availability and sizes.